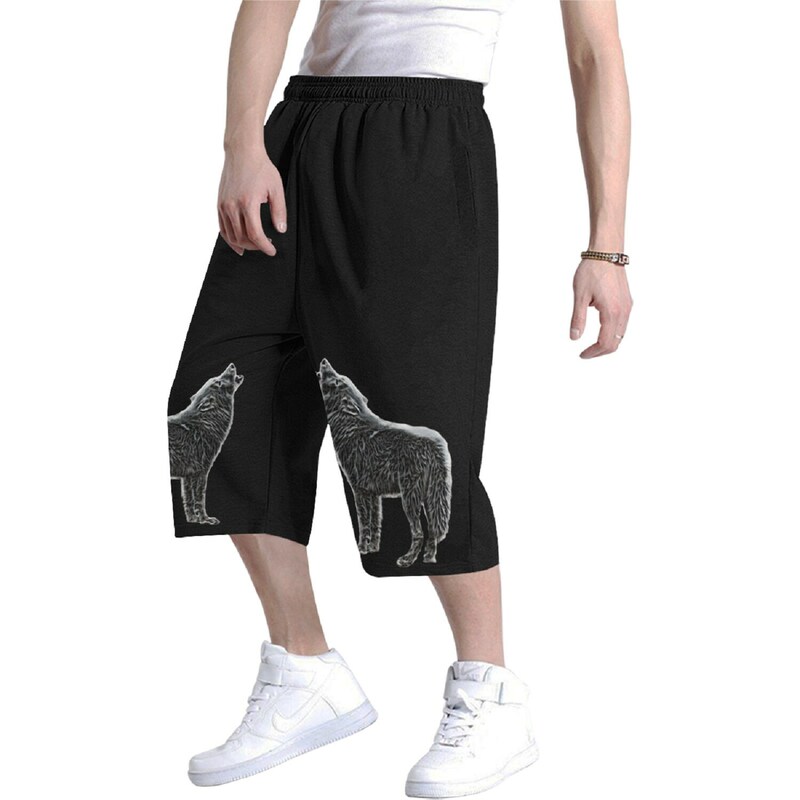 Premium quality hip hop style baggy shorts, black with wolf image on front of both legs. • Premium fabric: 100% polyester. 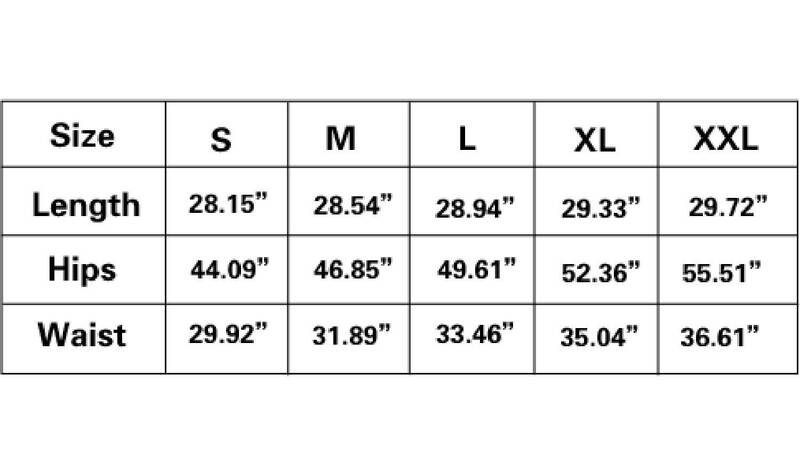 • Baggy style and loose fit. 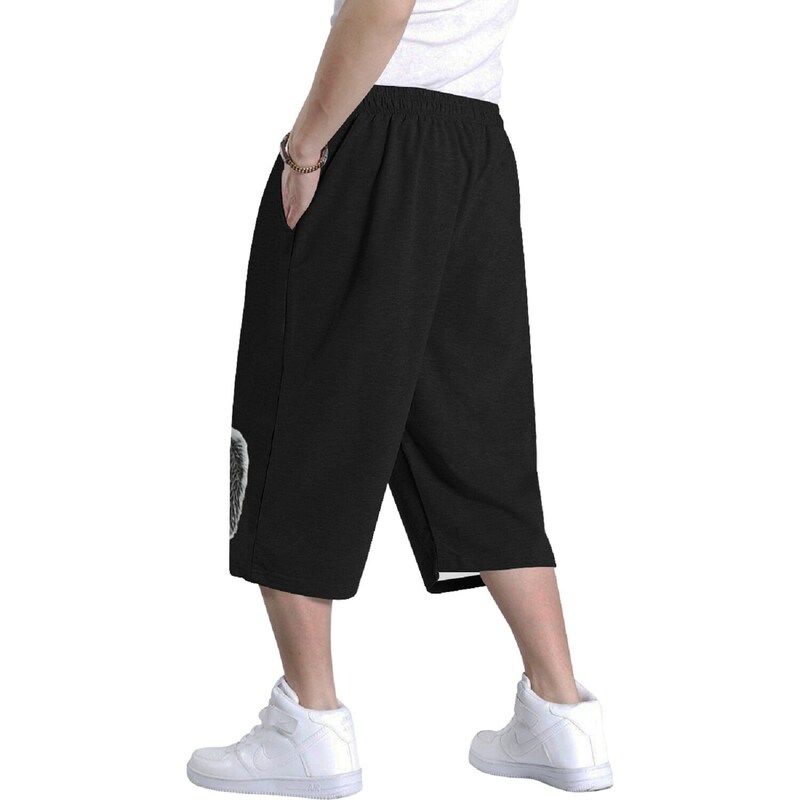 • Soft fabric for easy wear and comfortable touch.